Collision & body repair requires knowledge, skills and expertise. 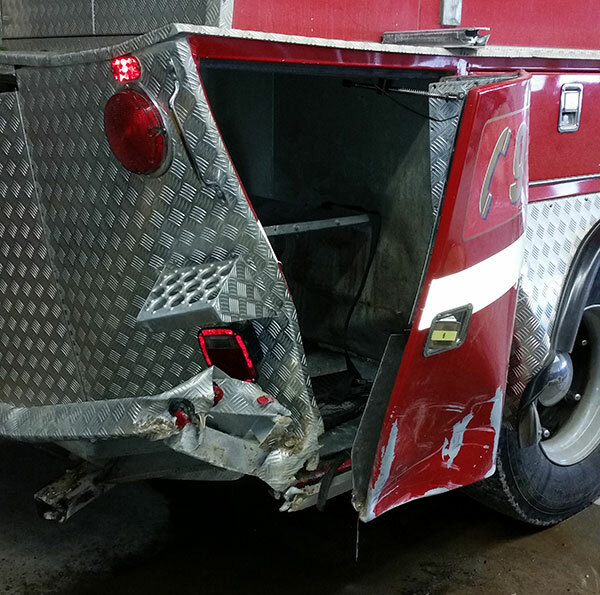 Whether you need custom fabrication, OEM parts, body parts or overall body work and collision repairs, a general auto body shop won't work well for your fire truck repair. Battleshield Industries Limited has years of hands-on experience working on fire apparatus collision repair work. We offer full service paint re-finishing for collision repair and refurbishment work. Utilizing the best technology available to the industry and only the highest quality paint and materials, we can closely match the current color of your truck giving it the most vivid, vibrant, high-polish look possible. Whether resulting from normal wear and tear or accident, Battleshield Industries Limited will repair or replace corroded areas with quality materials and workmanship. 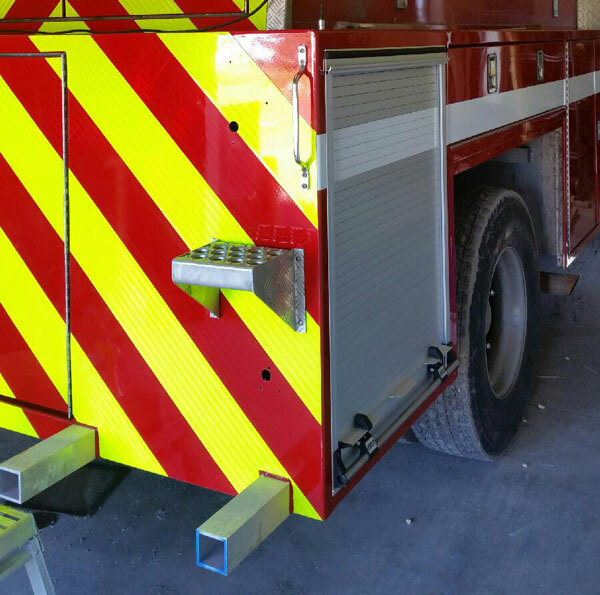 From minor collision damage to complete accident restoration, you can be sure that Battleshield Industries Limited has the experience to repair your apparatus.